After the rocky, injury-plagued, snow-light conditions of last year's Iditarod Trail Sled Dog Race, this year's even warmer season means the starting line of the race will move 225 miles north. It will still end in Nome, Alaska, but it'll begin in Fairbanks rather than Anchorage. 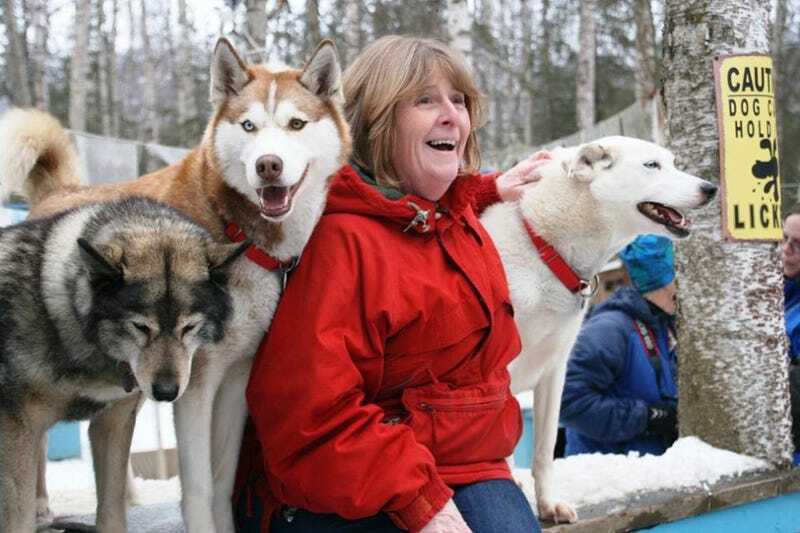 The Iditarod Trail Sled Dog Race starts Saturday with a ceremonial run through Anchorage. But the official start two days later has been moved 225 miles north, over the Alaska Range, to Fairbanks to avoid the area that left many mushers bruised and bloodied last year. Iditarod officials said the conditions are worse this year. This year's race will feature 78 mushers, including six former champions and 20 rookies. The winner is expected in Nome in about 10 days. The route change eliminates the mountainous terrain and treacherous gorge, but it could present mushers with a whole new set of problems with a flat trail on unpredictable river ice. Plus, because it's an entirely new route, mushers say they can't rely much on information, even something as simple as the distance between village checkpoints, provided by Iditarod officials.